For Xtra Protection every day of the month! Always Xtra Protection Liners help keep you 5X drier. * Always Xtra Protection Liners help you feel clean and comfortable, thanks to an extra-absorbent LeakGuard Core & RapidDry. Always Xtra Protection Pantiliners with Odor-Lock are designed with advanced odor neutralizers. The inner layer helps pull fluid quickly into the core, helping to lock it away and keep you dry. 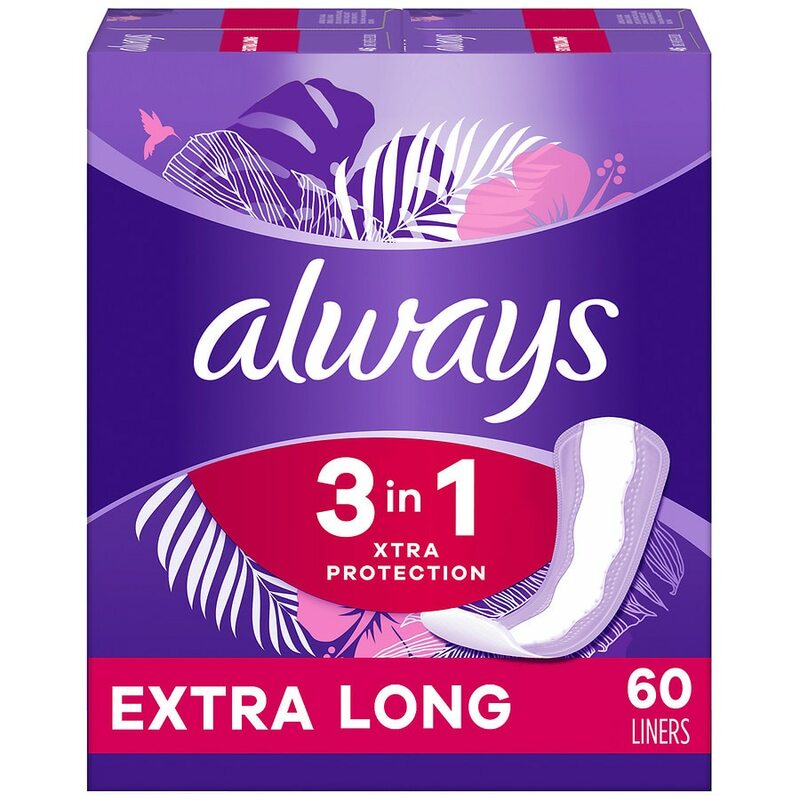 For feminine protection you can trust every day of the month, try Always Xtra Protection Pantiliners. To use: Remove Pad from disposable wrapper, apply pad to underwear. To dispose: Remove Pad from underwear, wrap in disposable wrapper, and throw in trash. Do not throw out Pad in toilet.